This is a poem I wrote a few days ago. It is about a man who leaves his girlfriend because he doesnt think he is good enough for her, which makes both incomplete. it is a little cliche. She sits alone and wonders why? Did she not love Him enough? Had she loved Him too much? 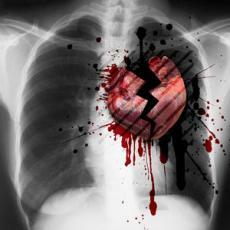 but her heart is gone. beside a woman he wishes he could love. A woman he wishes was Her. than all that he can give. Never in his life has he felt regret. © Copyright 2019 kingsholto. All rights reserved. It's not too dark, it's ok... It's full of sorrow, full of sadness... great work! Got paragraph problems huh?